Delhi in addition of being the capital of India is also the country’s largest and 2nd most populous metropolis. 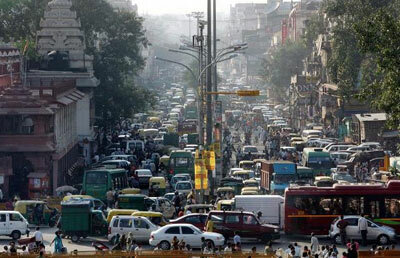 Delhi is also the 8th most populous metropolis in the world with 16.7 million residents. Captivating ancient monuments, grand museums, incredible pieces of art, world-class cuisine and busy markets of Delhi are some of the charms of the capital state of India. 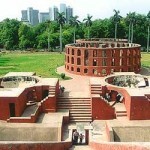 There are also many sites of historical significance in Delhi. Spend some days in Delhi and you will be charmed by the beauty. Presidential Palace (Rashtrapati Bhavan): Rashtrapati Bhavan is the largest residence of any head of the state in the world with having 200,000-square-foot palace. It is made of various Indian designs including several circular stone basins on top of the building giving it water features that are an important part of Indian architecture. Rajpath : The major artery that connects the Presidential Palace and the India Gate is the grand boulevard of New Delhi. The New Delhi avenue is lined on both sides by lawns with rows of trees and ponds. 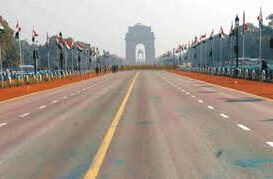 Being one of the most important roads in India, the Republic Day parade takes place here on January 26 every year. India Gate : India Gate lies in the heart of New Delhi. 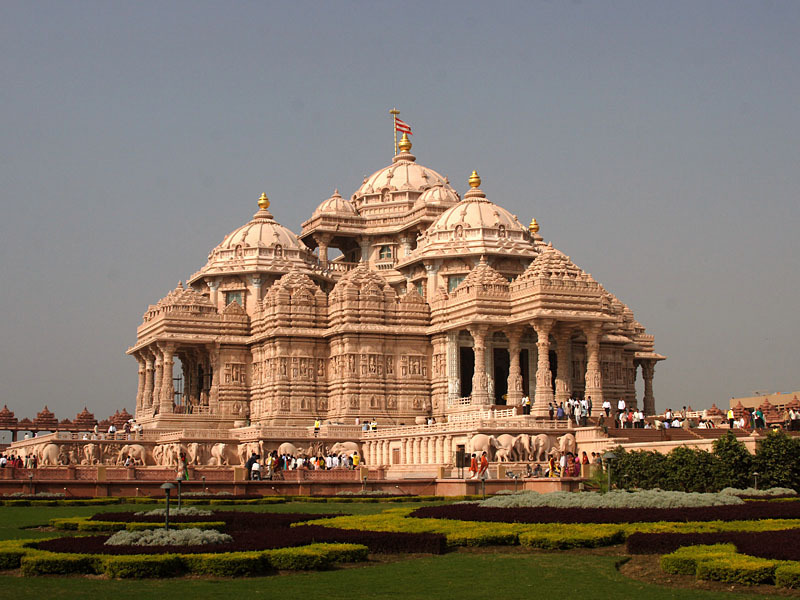 It is the national monument of India, made up of red and pale sandstone and granite. 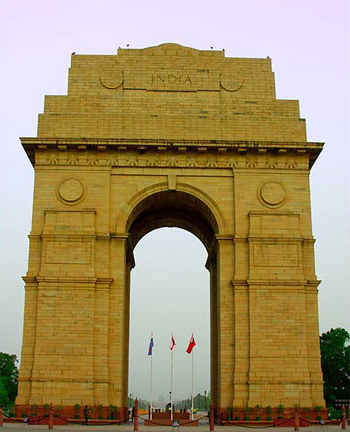 90,000 soldiers from India lost their lives fighting the British during various wars which are what India gate symbolizes. 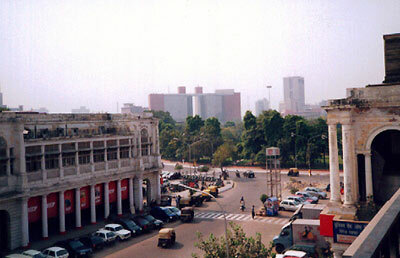 Connaught Place: Connaught Place is one of the largest financial, commercial and business centers in Delhi. It is built on a series of roads which run in concentric circles – much like a wheel. A huge underground bazaar is in the center of the wheel (hub) selling all kinds of things. Connaught Place is referred by the locals as CP. 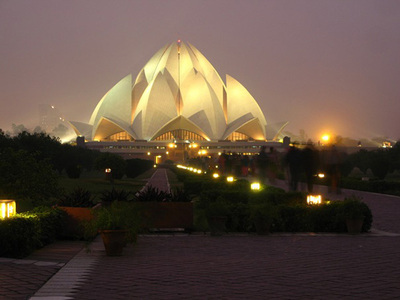 Bahai Lotus Temple : This lotus shaped temple is particularly pretty at night. For a relaxing picnic the tranquil gardens and ponds surrounding the temple are just a treat. Tomb of Humayun is another great attraction from the Mughal era. Red sandstone is used in huge amounts to build the tomb. In 1993 it was declared the site as the UNESCO World Heritage Site and till then the renovation is going on. Several other smaller monuments and tombs fall in the way towards the tomb. Lodi Gardens : You will admire nature as you spend a relaxing afternoon in the Lodhi Gardens. 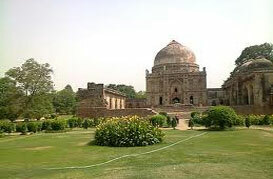 The gardens are situated between Safdarjung’s Tomb and Khan Market on Lodi Road. It is beautiful and pleasing, and is a hotspot for morning walk. Red Fort is commonly known as Lal Kila and is built by Mughals. 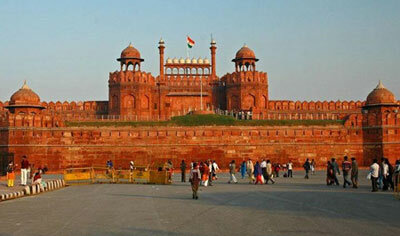 Today Red Fort attractions large number of tourists every year as it is the largest monument in Old Delhi. On the eve of the Independence Day of India on 15 August, the Prime Minister of India addresses the nation from this very fort. Chandni Chowk is chaotic, crumbling, congested, but captivating at the same time. This jostling street of Old Delhi presents a sharp contrast to the orderly, wide streets of New Delhi. You will find inexpensive jewelry, electronics, apparel and Delhi’s famous street food -chaat papdi, golgappas in Chandni Chowk. 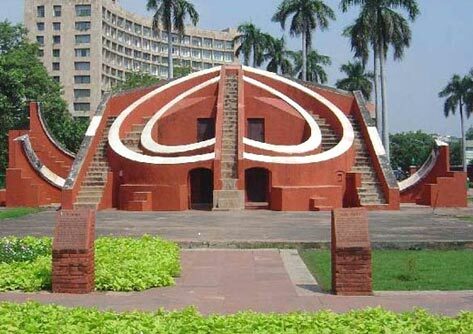 Jantar Mantar is one of the world’s oldest astronomical observatories built in the early 1700s. It is a masterpiece of Indian architecture which shows the real art of ancient India. Delhi is just good for all including families, groups, seniors, individuals and your kids will enjoy in this colorful fun city. Get introduced with Indian culture, heritage and values with the absolutely amazing Swaminarayan Akshardham. Sulabh International Museum of Toilets: Surprisingly amusing collection though small collection dedicated to a serious subject like sanitation. Gandhi Smriti is the site of Mahatma Gandhi’s assassination and his home while in Delhi. National Gallery of Modern Art: You can visit this rarely crowded museum that houses an excellent collection of modern Indian art. 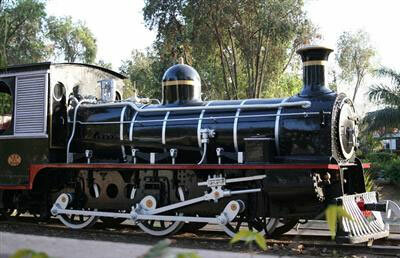 National Rail Museum presents dozens of train cars where kids get to enjoy to the fullest. Sanskriti Museum of Everyday Art: This under-visited gem hosts textiles, pottery and sculpture that are beautifully presented. Corbett National Park: For nature lovers, Corbett National Park is the most attractive place. 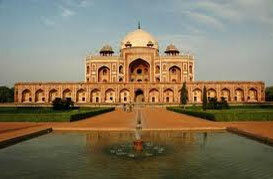 Nature, culture and history all will capture your attention by some of the most memorable sights that are in Delhi. The places like the Taj Mahal that is within a day’s drive of the city. 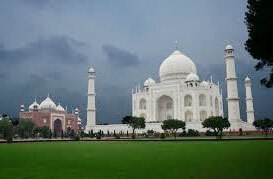 Taj Mahal being a symbol of enduring love is known for its stunning architecture and artistic beauty. It is built by Shah Jehan to house the grave of his beloved wife, Queen Mumtaz Mahal. Qutab Minar is one of the fine examples of Afghan Architecture. 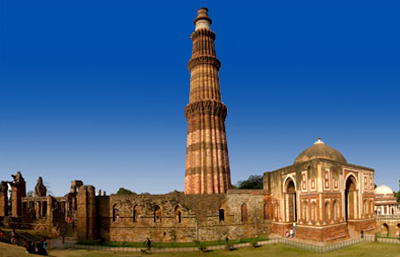 It is the tallest minaret in India and is constructed with red sandstone and marble. One has to go up 379 stairs to reach the top and it has five distinct storeys. The minar gets overcrowded on weekends. Bharatpur: This outstanding bird refuge is also a UNESCO World Heritage Site and is also known as the home of Keoladeo National Park. In the winter it’s a stopover point for migrating birds and hundreds of species have been spotted. 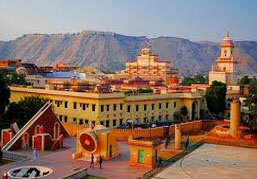 Jaipur, also known as Pink City for the glorious pink stucco buildings that line its wide streets. 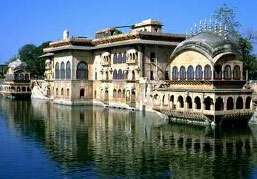 Jaipur has impressive palaces and forts, including Amber, Jaigarh forts, City Palace and Hawa Mahal. Rishikesh is a popular getaway for yoga and adventure sports. It houses many ashrams where people come to study meditation and yoga. However you can go for bungee jumping, kayaking, cliff jumping, rock-climbing and rappelling. Enjoy your Breakfast/Brunch at Child-friendly Wenger’s. Chutney. Bar + Tandoor at the Metropolitan Hotel offers you breakfast, lunch spot, dinner, reservations, after-hours and is fit for groups, business, local cuisine, special occasion dining, entertaining clients. You can also try Delhi’s tangy local street food like chaat papdi, golgappas and you will enjoy Dilli-ki-Chaat. Bukhara is one of the best restaurants in Delhi. Its rustic atmosphere, amazing food like kababs and huge naan bread are well known. Experience the Mughal style cooking and a classic non-veg meal at its best at the popular Karim Hotel. You have many dining options at Varq like lunch spot, dinner, reservations, after-hours for, business, local cuisine, outdoor seating, special occasion dining. You can enjoy your stay in hotel in Delhi depending upon your budget. If you are at low budget, you can go for hotels like Hotel Kabli, Hotel Hari Piorko, Hotel Lal’s Haveli, Wood Castle, Megha Homestay, Hotel Delhi Aerocity. You can also get variety of Deluxe hotels of India in Delhi offering hospitality and first-class services that you cannot forget. The world class treatment perpetually provided by the hotels has a lasting impression on the minds of the guests. 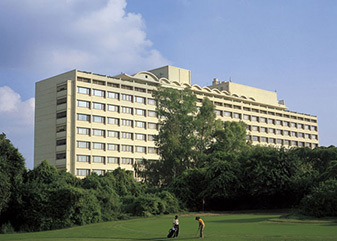 Hotel Oberoi Hilton is the renowned hotel of New Delhi. The hotel has a pleasant interior and a beautiful exterior. It is near the business center of the city, so, you can busy yourself with a number of activities. Health club, swimming pools, dancing fountain, café are some there to entertain you. You can enjoy at luxurious Shanti Home, Mantra Amaltas, Hilton Garden Inn New Delhi/Saket. Newdelhi.net suggests you fascinating sights and ways to get familiar with the local food, culture to get a fabulous experience at Delhi. Taj Palace Hotel situated in the heart of the city mesmerizes you by just looking at it. You will be captivated by its highly furnished beautiful rooms and restaurants which provide cuisine from Mughlai, Chinese, and Continental. 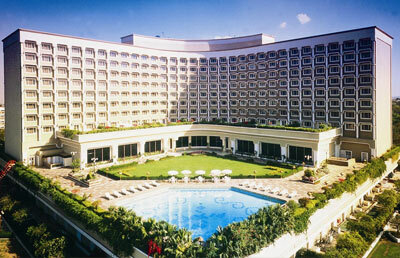 Imperial Hotel in New Delhi welcomes you with its grandeur surroundings. Palm trees and huge garden envelopes this legendary hotel. Chandni Chowk: Chandni Chowk market is known for its sarees and jeweleries. This the one of the old markets of Delhi surrounded by a chain of markets like Old Lajpat Rai Market Kinari Bazaar, Dariba Kalan, Chhatta Chowk Bazaar, Katra Neel, Bhagirath Palace Ballimaran, and Moti Bazar. Karol Bagh: Here you can get the stylish Indian garments, shoes, jewelries and largest selection of bridal wears. 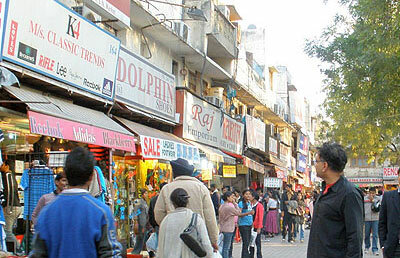 Karol Bagh is surrounded by other markets including Ajmal Khan, Arya Samaj, Bank Street and Ghaffar market. Connaught Place : It is Delhi’s leading shopping hub for fashion garments, electronics and accessories, jewelries, handicrafts, books and more. Janpath Market: Here you can shop the gleaming mirrorwork textiles, best quality shawls, and shining earrings. It is also famous as the Tibetan Market. 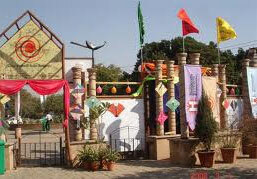 Dilli Haat : Dilli Haat is located opposite the colourful INA Market. In this open air food and crafts market, you can go for regional handicrafts. You can also have a taste of diverse and delicious cuisine at on-site food stalls. Dilli Haat remains very busy at weekends. Khadi Gramodyog Bhawan : It is best known for its quality and excellant khadi (homespun cloth) clothing. Her you can also get handmade paper, henna, incense, natural soaps and spices. Sarojini Nagar Market : Here you can get all types of clothing and accessories for men, women and kids. Here you can see the lanes on either side lined exclusively with clothing stalls. Here you can see the large crowds at weekends. Khan Market : Here you can see the best boutiques devoted to fashion (including tailoring) plus you can shop books, sunglasses, jewellery, homeware and accessories. This market remains busy during Saturday. Delhi Metro has changed the way Delhiites commuted, it is now the easier and comfortable to get around the city. It is hailed as one of the largest Metro rail systems in the world, it has been completed in stages over the years since construction began in 1998. The majority of the main sights in the city lie close to a Metro station and visitors can purchase a special card for short distance travel over one or three days. See www.delhimetrorail.com for more information and maps. 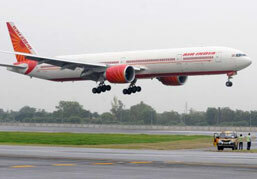 For the national and international liaisons, the airports of Delhi are the major gateways. Indira Gandhi National Airport and the Safderjung Airport are the two important Airports of Delhi while as the Palam Airport is the new one. These airports link Delhi through air to various important destinations in the world and in India as well. 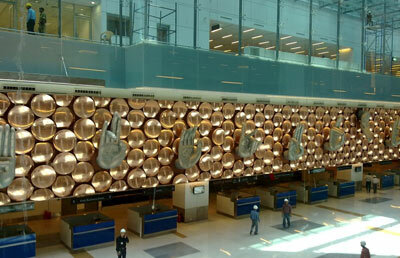 From the city centre, the Indira Gandhi International Airport is located some 23-kms away. These airports are controlled by the National Airports Authority of India. 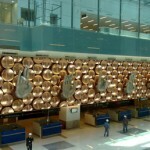 However with private sector participation, the Government has taken up a massive renovation plan for the IGI Airport. The two airports are connected by bus/coach services. For booking taxis, there is an official prepaid desk. You can pay for the same before boarding the taxi. Just outside the customs hall in the International terminal, you will find the Taxi counter and the domestic arrivals are outside Baggage claim area. Indian Visa is one of the important travel documents which you should carry along before your visit to Delhi. The Bureau of Immigration and The Ministry of Home Affairs encompasses all rules and guidelines pertaining in issuing, extending and addressing various types of Indian Visa. You also need to carry an authentic and valid passport before you arrive in Delhi. They may also carry other recognized documents that would support their nationality and identity. New Delhi remains hot and humid in summer and is cold during winters. The average temperature ranges from 25°C to 47°C during summer (March to June) months and 2°C to 5°C during winter (December to February). Monsoons (July to September) are accompanied with heavy rains intermittently. The Delhi gardens get vivified during the monsoons. Best season to visit Delhi is from July to February. Stay in touch with us to get the latest info about Delhi travel, accommodation, city guides and other tourist information. Have a Happy journey!